Painter of the Island coastline, London and the Thames, and occasional travels overseas. 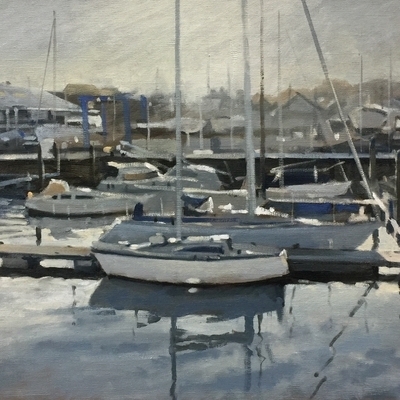 Andrew Hird is a painter of city and maritime landscapes. He works in an impressionistic style primarily sketching from life with pencil or oil paints to gather images for larger studio paintings. 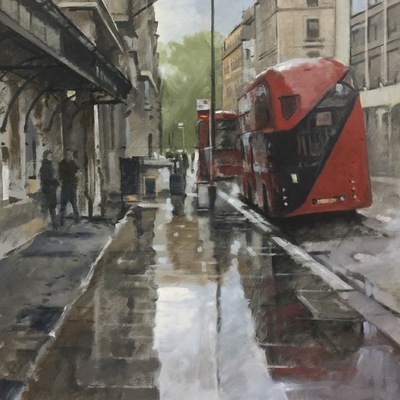 All his work is driven by these small plein air studies, they capture the immediate atmosphere and energy of the environment which he then develops onto larger canvases. His work is quite structured with a strong sense of line and perspective, and often focuses on the effects of light and weather. His tendency to paint with a limited palette of colours has a tonal style that transmits both the subtlety and drama of light. Andrew has won various awards and his work is becoming increasingly collected. 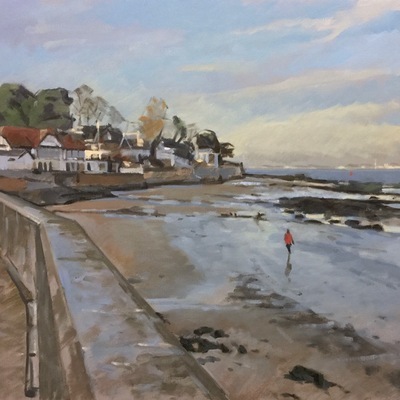 He has exhibited at the Mall Galleries and the Royal Opera Arcade in central London, at the Chelsea Art Society and Patchings Arts Festival, and with the Royal Society of Marine Artists. 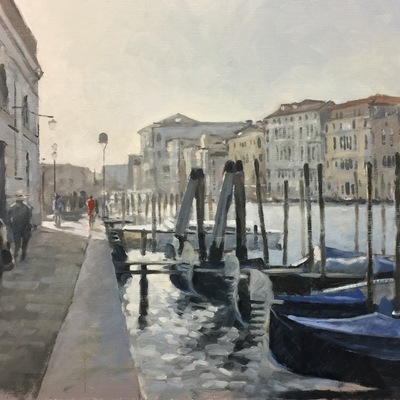 Andrew can regularly be seen painting near his home on the Isle of Wight, on the streets and bridges of London, and occasionally further afield in Venice and the hill towns of Tuscany.